I like various upma varieties, but Hubby is big fan of dosa varieties. 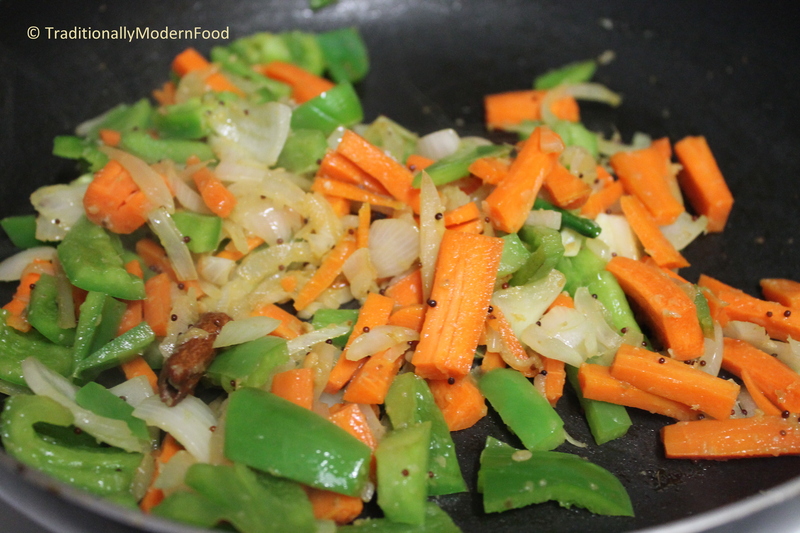 To make him eat upma, I add quite a bit of veggies and masala. Though rava kichadi is my favorite, after trying semiya kichadi, I liked its texture too. 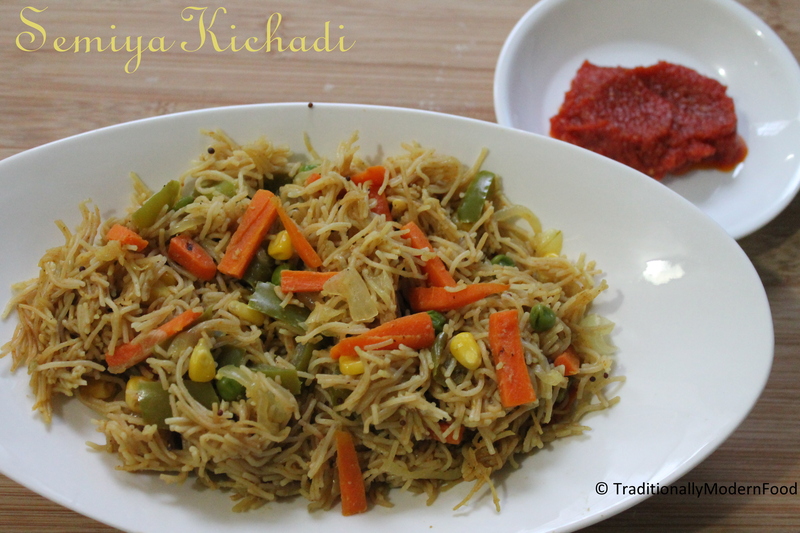 I made this kichadi very similar to vegetable pulao, by using vermicilli instead of rice. Here I used the roasted vermicelli. If you are using the unroasted one, just fry it till golden color is achieved and proceed with the process. Adding whole garam masala spices makes the kichadi flavorful. Add 2 cups of water and 1 drop of oil/ghee (My Amma tells me that adding oil/ghee at this stage enhances the consistency of kichadi). After the ingredients are cooked, take it off the heat. Serve with any chutney. I am as well a big fan of upma and specially Rava upma. Good to see this too…. So many wonderful ingredients Vidya! Really wish I could taste it! Thanks! You are sweet like that! You are so good with all the spices..great dish! 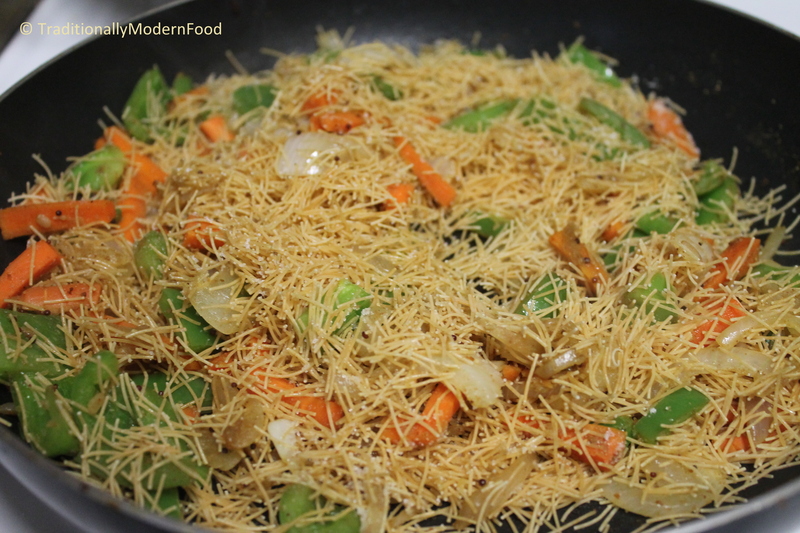 i love them… a quick n healthy one..
Oh, I love dishes like these with vermicelli and lots of spices and veggies! Beautiful colors! Yummy, I always use this veggie technique to make upma for my husband who just doesn’t like upmas at all. For me I love bombay rawa upma ans semiya upma..ghee fried cashew pieces would also be a great seasoning na…thanks for sharing!! Wow! Your food looks delish I feel like I could eat it all up! yum! Thanks for sharing your great recipes. 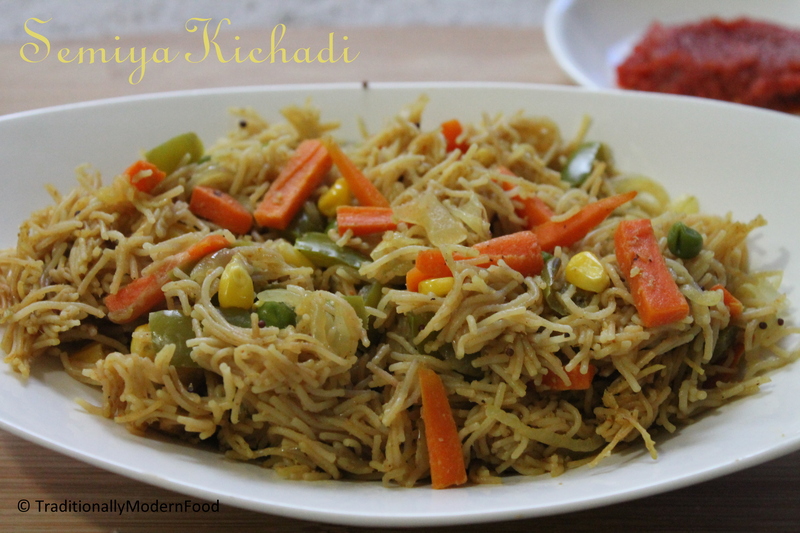 Delicious and healthy semiya kichadi, love the veggies. I make this too, albeit in a slightly different way. I tend to boil and drain Semiya and then add as it reduces the starch. I also add Maggi Masala as the spice powder.